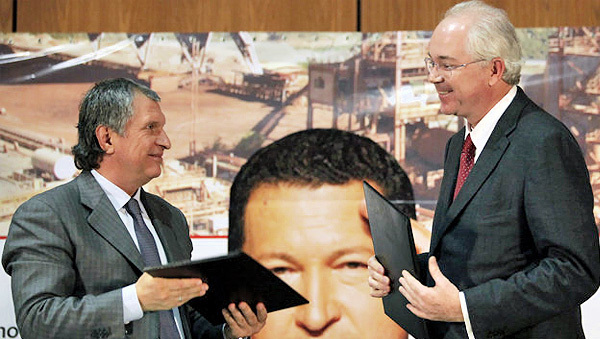 A friend from Washington writes about this bit of seriously unreported news: Igor Sechin, the CEO of Rosneft, Russia’s state-owned oil giant and one of the Kremlin’s most powerful people, was in Caracas recently, pledging $1.1 billion to “develop” Venezuela’s oil and gas fields (i.e., to give cash-strapped Venezuela a lifeline, now that the Chinese have said no to more handouts). Here is the Moscow Times prior to the visit, and after the visit. Here is the Russiapedia profile of the guy.